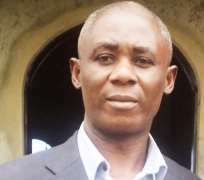 Newly elected president of the Movement for the Survival of the Ogoni People (MOSOP), Fegalo Nsuke has pledged strong commitment to self determination and freedom for the Ogoni people in Nigeria. Nsuke spoke yesterday in Mogho, Gokana local government area at a congress of Gokana kingdom. Nsuke told the Ogoni congress that the pprofound injustice against the Ogoni people has destroyed the entire Ogoni nationality and must be confronted and defeated. On the Ogoni cleanup, Nsuke described the programme as a fraud noting that the programme will not benefit the Ogoni people as currently implemented. "All of the companies approved by HYPREP do not represent Ogoni interests except one. This is not acceptable to us as the cleanup is about us, we have paid the price and made all the sacrifices. They must listen to us and not plot to take away our money to Abuja Lagos and other places" Nsuke said. "The cleanup is useless if it does not benefit us. They have not even provided water for us as recommended by the report and this, we must address" Nsuke said.